Azaleas are popular plants. Largely pest-resistant and easy to grow, azaleas can be tolerant of many climates and soil conditions. There are many types of azaleas, with different sizes and shapes of flowers that come in an array of colors including pink, white, yellow and even orange. 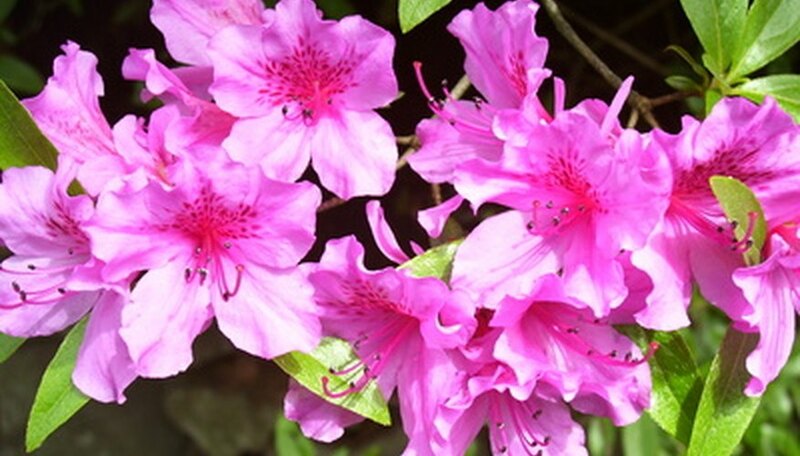 Choosing them can be fun, and azaleas can be a colorful accent to any landscape or garden. 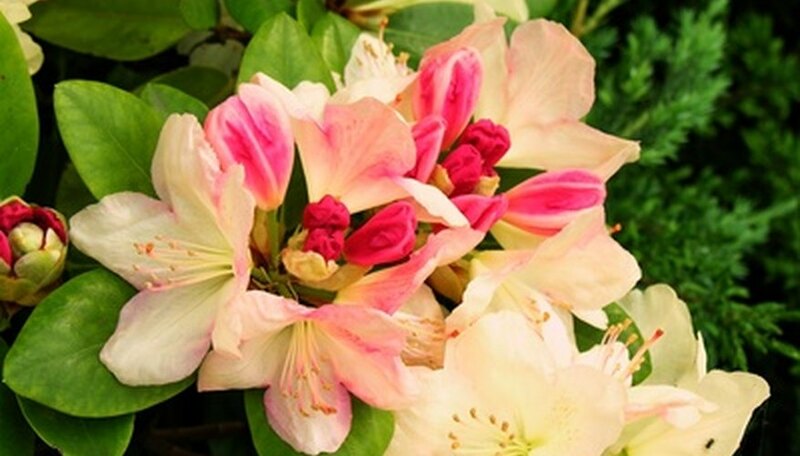 Southern Indian hybrids are a popular subset of azalea crosses because of their large flowers and their fast growth rate. They can also be a striking plant because of their height, reaching anywhere from 8 to 10 feet. Blooming in early spring, the Southern Indian hybrids can be more delicate than some of the other types of azalea crosses. They can be damaged by cold weather or frost, and can be killed by an early, unexpected winter. The hybrids come in a variety of crosses and colors, including the pink, late-blooming Southern Charm, the reddish-orange and early blooming Duc de Rohan and the popular Formosa, known for purple flowers. 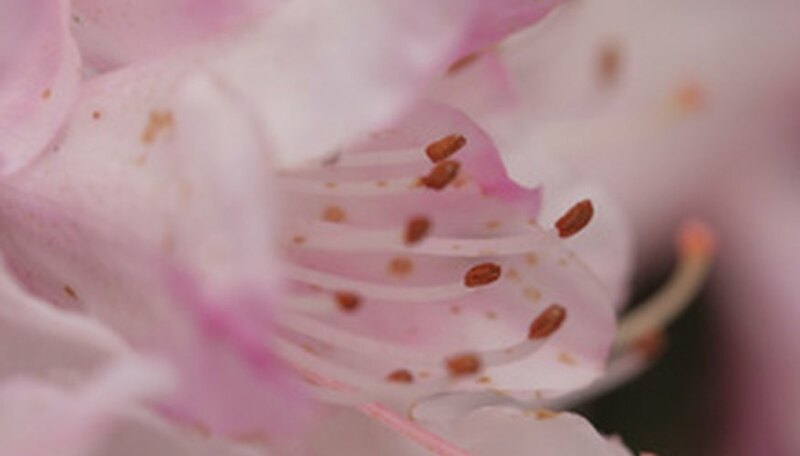 Kurume hybrids are a more cold-resistant subset of azalea crosses. They are distinguished by their height and width; the typical height is between 4 and 6 feet tall with a width equal to their height. The Kurume hybrids are generally slow growing and have small leaves and flowers. Some of the crosses have double flowers, also called hose-in-hose. Popular Kurume types include the Pink Pearl with its large clusters of hose-in-hose flowers, the salmon-colored Salmon Beauty and Bridesmaid and the red Christmas Cheer. The Glenn Dale hybrids were developed in the Maryland town of the same name. This group of hybrids was created to bloom later in the season and to combine large flowers with cold resistance that gives this type of azalea a much wider area in which it is successful. Glenn Dale hybrids can bloom anywhere from late April to June, and with more than 450 types there is seemingly no end to the choices. Many of these hybrids have flowers that aren't just one solid color, including the white and pink-striped Masquerade, the white and magenta Martha Hitchcock and the pink-edged White Fawn. 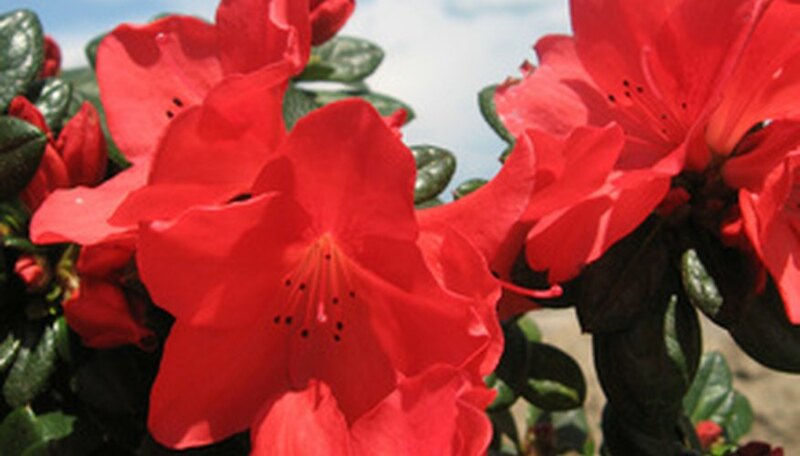 The Satsuki hybrids are most popular in the area the azalea was first cultivated: Japan. These varieties tend to be no more than 5 feet in height and have large flowers. They are late-blooming azaleas, typically flowering well into June. Satsuki azaleas are unique in that one plant may have flowers of different colors. Popular hybrids include the pink Gunrei, the purple Eiten and the red Amagasa.